LHW:A Blog: Finally! 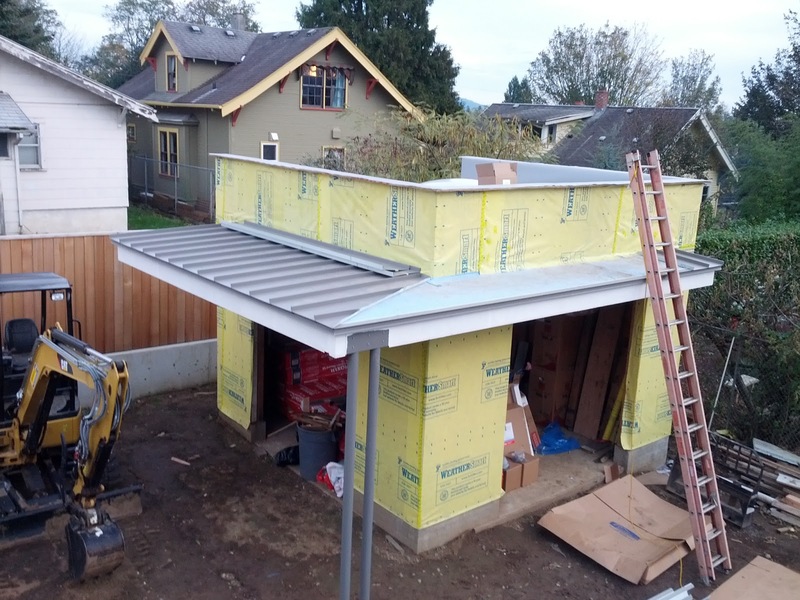 The metal roof takes shape. 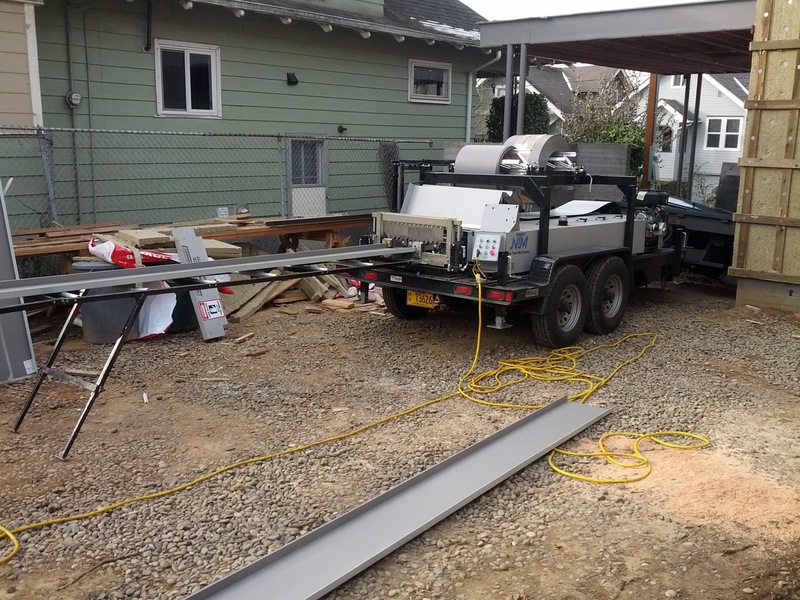 You can see the coil of sheet metal atop the rig, which feeds through a forming die, and exits onto a support roller as a standing seam metal panel. It is cut to length as needed. 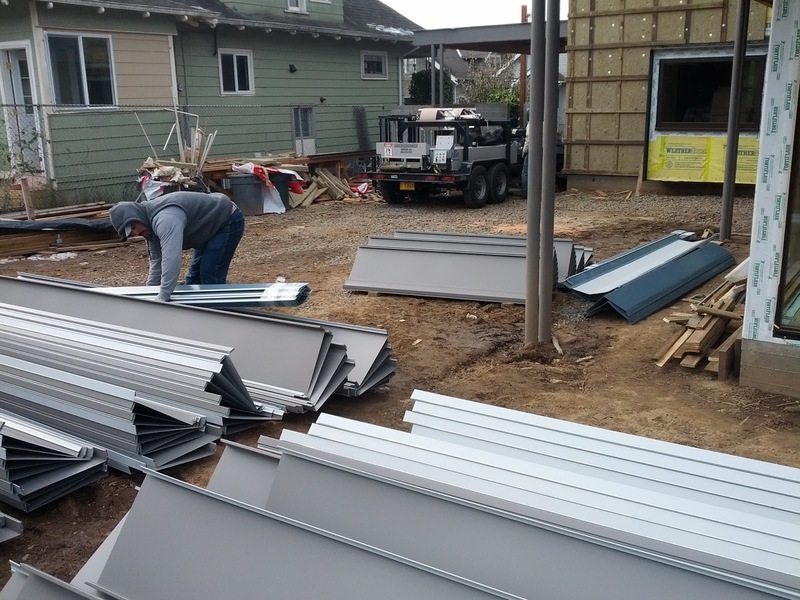 It did not take long before the courtyard filled up with piles of panels, sized to fit previous measurements. The skylights also arrived. Above is the plexiglass dome skylight installed above the carport membrane roof (and another at the garage). 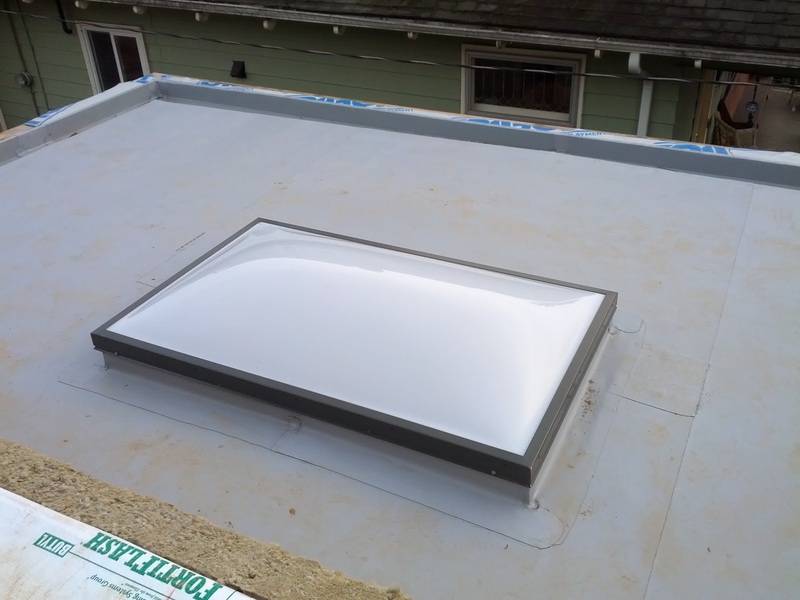 Insulated glass skylights will be installed on the house. Didn't get too far with the actual install today, after all the rest of the production. About 1/2 of the canopy on the garage now has a real roof. Tomorrow they finish this, and move to the main house roof. My relief is palpable.